The beauty of sublimated baseball uniforms sets is that you don’t need to worry about mix-and-matching — we take care of that for you. 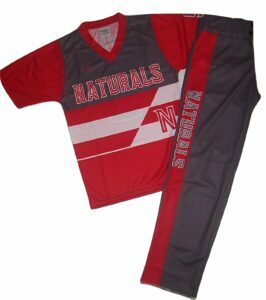 When you order one of our sets (be it for adults or a Litte League baseball uniforms sets), we make it so that the jersey and the pants look perfect together. After all, they’re supposed to work together to make you and your whole team shine on the field. Custom-made sublimated baseball uniforms add professionalism to every team — even those that don’t compete at a higher level. Whether you’re playing to win the championship or just for the kicks of it, it’s always a great idea to look sharp. These uniform sets make you stand out from the crowd, no matter what, and for the right reason. As the leader of your team, you will have full artistic control over the process, if you wish to do things your way. We will listen to what your team or school’s colors are, what their logo is, and even if you have a motto you want on the uniform. You also get to choose how your sublimated baseball uniforms set looks. Do you prefer a crew-neck or a v-neck style for your jersey? And what about for your bottoms: would you rather have open cuffs or elastic cuffs? 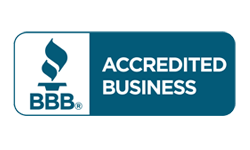 We believe everyone feels comfortable in different ways. This is why we give our clients so much freedom. Do you have an idea? Awesome! As long as our highly skilled, experienced design team approves of it, you will have your perfect finished sublimated baseball uniforms set in your hands in no time. We give you so much to choose from so that your brand-new sublimated baseball uniforms sets are the perfect ones for your needs. It will put your team on the spotlight, no doubt about it.